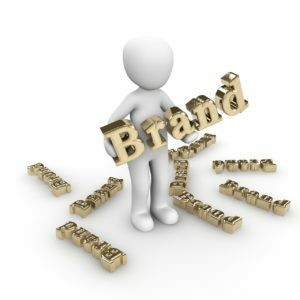 Spend any time with business people and someone will eventually mention “branding.” What exactly does this mean and how does it play out in the humdrum, day to day life of an organization? A few weeks ago, I experienced that “intangible perception” and the “gut feeling(s)” that accompany it. Wow. And ouch. So, from this exchange we can extrapolate that this girl believes that employment at this place diminishes any positive outlook she has. And this guy, he can sympathize with her plight because he is clearly married (in his estimation) to a succubus who has killed all his hopes and dreams. Returning to our definition for a moment, I surely had (and I will bet you do as well) some perceptions and plenty of feelings, in my gut and everywhere else. I was shocked. So shocked, that I couldn’t get away from them fast enough. I grabbed my graham crackers and got out of there, overwhelmed by their negativity. With an aisle or two distance between us, the initial emotion subsided and I realized there was some good learning for managers to be gained here, so we’ll unpack this a bit. I found myself wondering how often managers share their expectations for employees regarding how they interact with each other in front of customers. In the stockroom, the delivery truck, a private conference room, it might be appropriate to share your burdens with your colleagues, but when customers are present, employees should be focused on them. Another place this shows up is when a customer asks how the employee is doing and they say they are almost done with their shift. Now, I never assume anyone in customer service only lives for their job but having them imply they have been chained up and their life can begin as soon as they clock out isn’t great for anyone. We often assume people know things or they are simply “common sense,” but if you have never talked with your employees about these kinds of thing, you might consider doing so. They are likely to see their interaction as harmless, so it may be a surprise that it affects your brand so negatively. First and foremost, set your expectations and be sure to share why they matter. Most employees really aren’t trying to harm your image or repel customers. Second, if you find an employee that feels as unhappy about their job as the girl in the story, you probably want to talk with them about this. Ask some questions, find out why they are feeling so hopeless. Maybe they aren’t working in their strengths or are no longer feeling challenged, or they don’t like what they are doing. While you can’t fix every problem, having an employee who feels that bad is toxic to the rest of your staff, so you owe it to everyone to see what you can do. Being vigilant about your brand is a top priority in today’s competitive marketplace. Maybe your employees won’t go anywhere else, but sooner or later, your customers certainly will.